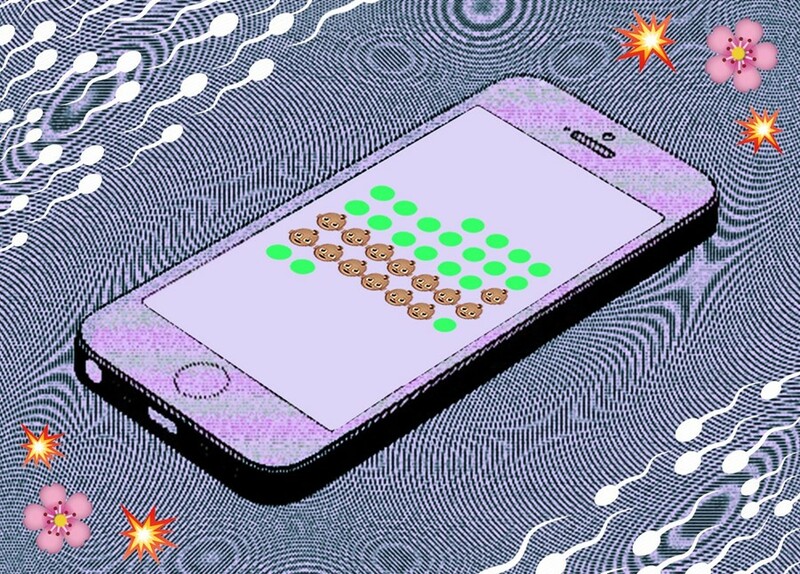 Can your phone prevent pregnancy better than the pill? As a fertile, sexually active woman who sleeps with men, trying to remain childless is a minefield. It can feel like a full-time job, oscillating between hormonal meltdowns and paranoid suspicions that you could be experiencing one of those pregnancies you don’t know about until you give birth in a cubicle at work. But, contraception is at a crucial intersection. We know that the pill can have a devastating impact on the mental health of some users, and thanks to increased conversations (and fads) surrounding wellness and natural lifestyles, women, and eager entrepreneurs, are looking for non-hormonal options. As you’d expect – there’s an app for that. Natural Cycles is trying to bridge the gap between the modern woman’s quest to “go natural” and the unfortunate fact that we’ve become really out of tune with our bodies. Although the year-old app has gained 700,000 users worldwide, it came under fire last week after a spate of pregnancies were linked to its usage. Södersjukhuset hospital in Stockholm logged 37 unwanted pregnancies from Natural Cycles, and reported it to the Swedish Medicines Agency. But Natural Cycles co-founder Dr Raoul Scherwitzl’s confidence in the science has not been knocked by the recent backlash. “No contraception is 100 per cent effective,” he tells Dazed. “It's a truth you cannot get around. The more popular we get, the more happy users we will have, and a small fraction of women will have unplanned pregnancies. This is exactly what is happening in Sweden. We have the highest density of Natural Cycles users here. So, unfortunately, that means that a fraction of them will end up with an unintended pregnancy. We've had large investigations that confirm that there's no reason to believe that there's an issue with the product.” The app was approved and certified by the regulatory body Tuv Sud, the science behind the app does backup Scherwitzl’s point: its 99 per cent effectiveness ranks it more effective than condoms (which have a 98 per cent success rate). The couple vouched for its effectiveness after they conducted a study of 4,000 women who found the app to be more effective than the pill. This stat attracts thousands of users a month, mostly women who have had negative experiences with hormonal treatments. Like Silvia Monteiro, a 30-year-old who has been using the app for a couple of months. For the most part, she completely trusts the science behind the app (“any errors or failures are usually because you’re not using it correctly, which is the same for other types of birth control as well”), but she still has some trepidation to use it without protection on all of the green days for the first couple of rounds, just while it gets to know her cycle. So despite Natural Cycles’ confidence in the product, not everyone shares their unwavering faith in the algorithm. After all, there’s still plenty of room for human error – and medical professionals are sceptical about whether we totally trust the stats boasted by Natural Cycles. It’s understandable for people to be sceptical when it comes to new technology and medicine. Natural methods of family planning traditionally take a great level of personal education in the wonderful world of eggs and sperm, and more importantly, the greatest level of responsibility for knowing your own body. Given that Scherwitzl and Berglund promote the idea that the user does not need to educate themselves about fertility to use their product, they co-sign the erosion of personal responsibility. So of course, the small number of women who fall pregnant will blame the app. In the end, it all seems to boil down to personal discretion rather than blind faith in any method of contraception. The women we spoke to know the app is a starting point, but that they have to tailor and monitor their own user experience so they feel comfortable. The method behind what social media called “madness” is sound – the science dates back centuries. What’s new is the digitisation of one of our body’s most natural processes. Of course, you can’t hand over the control of your uterus to a piece of software, but it might help.